Hundreds of links to free interactive exercises in grammar (nouns, pronouns, verbs, adjectives, adverbs, prepositions, conjunctions, interjections), writing, reading, listening, idioms, vocabulary, speaking and pronunciation. The new version of the Hope ESL curriculum from Roofbreakers.org has been released. This free-to-copy English language CD ROM is being used and distributed around the world by a whole range of people. The vision is to see a copy of this material provided to key people in every country. Currently Roofbreakers.org has a specific focus on utilizing the massive global English Language opportunity to develop and distribute resources which teach and inspire students. The Hope ESL software curriculum is Roofbreakers.org’s main project. This software project had its origins in Vietnam where an Australian English teacher developed the educational concept. 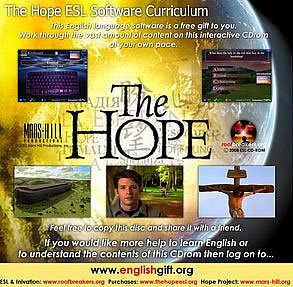 Later, in partnership with mars-hill productions, roofbreakers was able to produce the Hope ESL software curriculum as a free-to-copy CD ROM including the full Hope film. Besides the CD, also available for download are (1) The Hope ESL Software Curriculum Guide in PDF; and (2) A few Simple ideas for New Language Learners and Old Ones Needing Some New Life. The Hope ESL Mandarin support version has been completed and is awaiting approval to be printed in Beijing. The Indonesian support version of the Hope ESL is in the last stage of development. 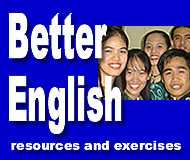 Free downloads of lessons and books (Learning Spoken English, a 450-page Student Workbook and an Instructor’s Guide) to your computer, iPod, Blackberry, MP3 player or PDA; Lessons on vocabulary, grammar, syntax, and verb tenses using spoken English exercises; Complete lessons contain enough recorded audio lesson material for two hours of study a day, five days a week for nine months.